Introduce tu email para suscribirte a mi blog y recibir notificaciones de nuevas entradas. En Madrid pude irme un día de rebajas, y compré muchas cositas nuevas. Entre ellas, este vestido (Lefties) y el bolso, clonazo de Valentino, en Parfois. I went shopping in Madrid and I bought a lot of stuff! (I love sales!!). I bought this dress in Lefties and this beautiful bag in Parfois (the bag is a copy from Valentino). 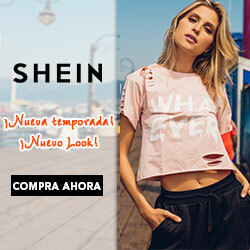 ¿Habéis comprado mucho en rebajas? Have you bought a lot in the sales season? Yo no he gastado mucho.. El bolso me encanta!! Happy Friday for you too! Pretty nice post. I just stumbled upon your blog and whiesd to say that I have truly enjoyed surfing around your blog posts. In any case Ie28099ll be subscribing to your rss feed and I hope you write again very soon! Blog and The City features fashion bloggers on our twitter page (@blogandthecity and more than 13.000 followers), in return for our badge placement. Just pick one of the badges on (http://blogandthecity.net/badges) and let us know when you’ve placed it! Hoy en mi blog… los beneficios del yoga!! I have been browsing onlnie more than 3 hours today, yet I never found any interesting article like yours. Ite28099s pretty worth enough for me. Personally, if all webmasters and bloggers made good content as you did, the internet will be much more useful than ever before.